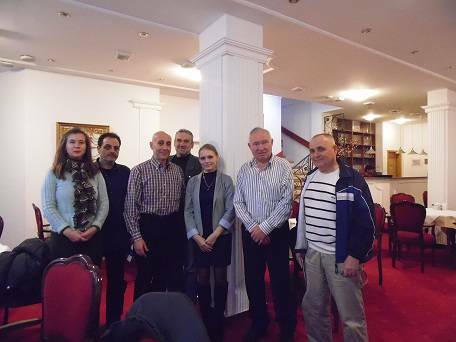 In December of 2014, a sales and marketing representative of GlоbeCоre, Antonina Sokhan, visited a number of towns in Serbia and Macedonia. She was invited by the representatives of these countries who desired to find out more about the equipment for bitumen emulsions and modified bitumen production designed and produced by GlоbeCоre. A great variety of issues such as the operational characteristics of GlоbeCоre equipment and its integration into the existing systems were brought up in the course of the presentation. In particular, the representatives were interested in the peculiarities of foamed bitumen production. All in all, the trip was a success: The road builders in Serbia and Macedonia were impressed by the production capabilities of GlоbeCоre bitumen-emulsion equipment. Additionally, our company has gained invaluable international experience.